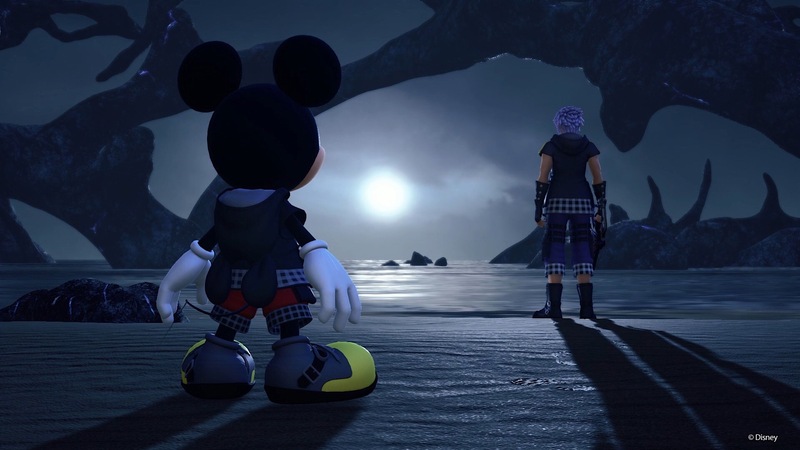 I never thought I would get to say this, but Kingdom Hearts 3 is very nearly here. It has been a long wait, but it looks like it will be worth it. Before I go into why everyone should be playing this game, there is one point I want to make. This will be the end of the story for our main character, Sora. However, it is not intended to be the end of the series. 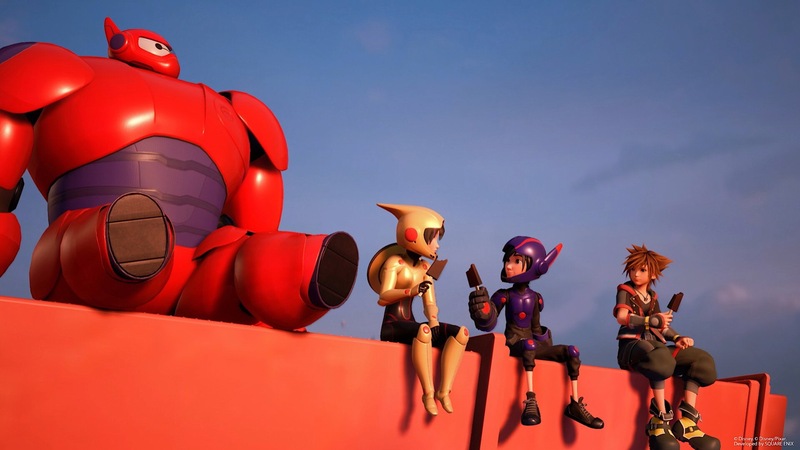 The end of a character is always sad, but the thought that there still might be more Kingdom Hearts to come will make the bittersweet conclusion a little less depressing. I thought this point was all but settled, but upon chatting with a few friends, I have discovered that many people still believe that Kingdom Hearts games are for children. Those people are wrong and they are missing out on something pretty amazing. Now, I say that being a person that still eats chicken nuggets shaped like dinosaurs and drinks chocolate milk, so take that from where it comes. My point is that though this game will be kid-friendly, you will still be able to enjoy it as an adult. 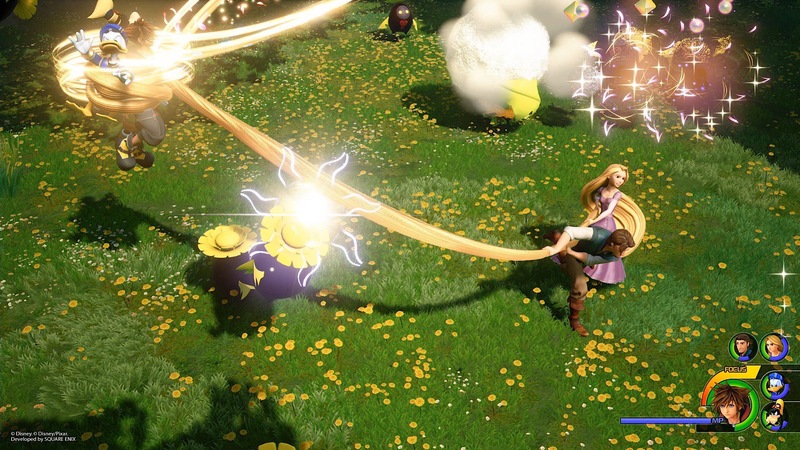 Yes, the worlds are colorful and contain Disney characters, but several of the boss fights will provide a significant challenge. In fact, there is one optional fight with Sephiroth that I am fully convinced is impossible to beat. By all means, tell me I’m wrong, but I still won’t believe you. If you are a fan of JRPG and are comfortable with those types of mechanics, then you should feel right at home. You will find many things at play with which you are already familiar. Those unaccustomed to that style have no need to worry. You will be able to figure it out relatively quickly. Things like managing your party will be a factor, but without the need of getting bogged down in a lot of menus. 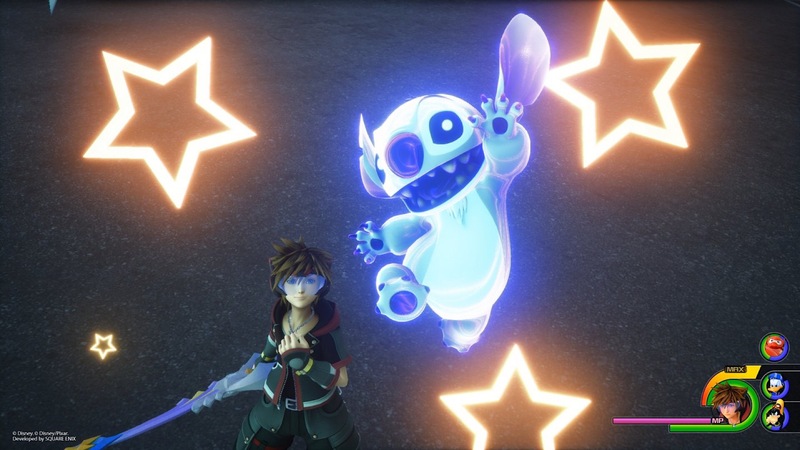 Kingdom Hearts is essentially Disney meets Final Fantasy. Characters from both worlds are there, as is gameplay. Not like Disney has gameplay all it’s own, but it makes the classic Final Fantasy gameplay more assessable. The combat is not turn-based, but there is still a menu that you will use during battles for magic and health. The idea is that anyone can just step into this series without feeling out of sorts. You can slide in fairly easily. 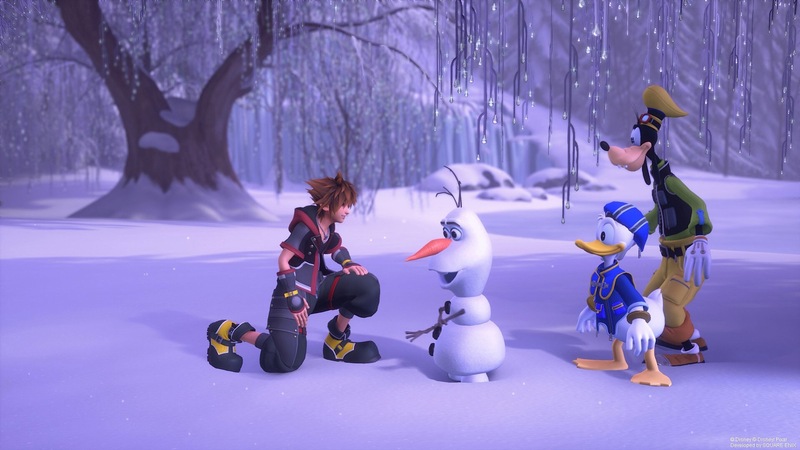 In the previous Kingdom Hearts games, your party consisted of Sora (you), Donald, and Goofy. When you would travel to different worlds, new charters would often join you. But you could only have two companions at a time so you would have to choose whether you would want Goofy or Donald to sit out. This time, these characters will just join you. Period. Instead of if always just being you and two others, now it will be you and several others. It will be great to have the extra firepower, but this will likely mean that the hoards of Heartless will bigger and the bosses will have seemly infinite HP. But there’s a trade-off for everything I suppose. Start singing ”A Whole New World” because it is very fitting here. 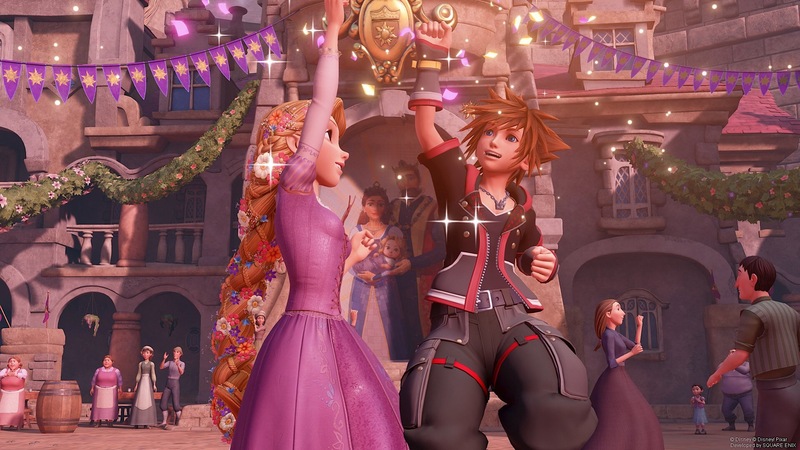 Kingdom Hearts III will have several brand new places to go based on the more modern Disney films. Tangled, Frozen and Big Hero Six are three new ones plus we will return to some places that we have seen before. But new worlds mean new characters and new abilities. The Heartless better watch their step or Wreck-It-Ralph’s giant fists will have to pummel them into the ground. This series has always had some seriously great music. Honestly, top-notch. The latest installment will be no exception. It always fits the tone of the games perfectly and makes you feel exactly what you are supposed to. The theme song for Kingdom Hearts III has been out for almost a year now, and it is gorgeous. Even if you don’t like the song, it still puts you in the proper mood. Until recently I only heard the song in Japanese and it still had the effect even though I had no idea what the lyrics were. 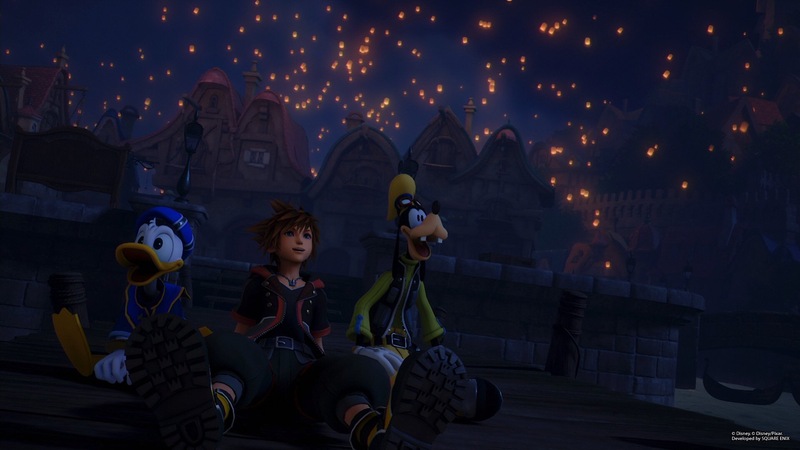 Kingdom Hearts III is a game that everyone should try, even if it doesn’t sound like it right up front. It has something for anyone looking to have a good time, which is damn near everyone. If you have not played any of the previous games in the series, you can play them remastered on the PlayStation 4. Not on the Xbox One, which is quite depressing. 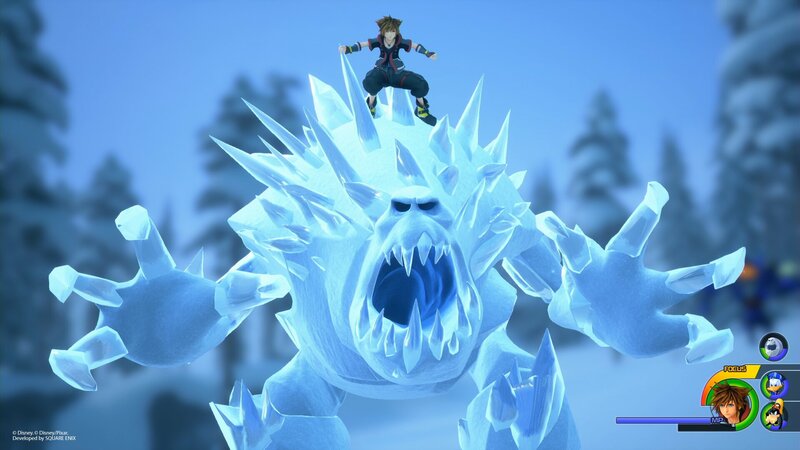 Kingdom Hearts III, however, will be released on both consoles on January 25th. It seems like I've never played a lot of games you guys post on here, but I intend to get this when it comes out! I remember watching the commercials as a kid and wanting to play these games lol. Don't worry, I drink chocolate milk all the time as well. I even order it at restaurants lol.